Vaping is becoming a phenomenon and many celebrities are now getting involved in this new culture. Leonardo DiCaprio - The ‘Titanic’ Film star was spotted vaping at the Screen Actors Guild awards show. Leo stole the limelight from many of the award winning celebrities as he sat vaping on a modern mod/tank combo at a crowded table. Tom Hardy - During the filming of ‘Taboo’, Tom was caught regularly vaping on a huge subohm device setup whilst on set. Katy Perry - The international music sensation, has been caught on camera numerous times vaping at her house whilst chilling by her private pool! Johnny Depp - This famous face went one step further and actually vaped during the movie ‘the tourist’. Richard Hammond - The former ‘Top Gear’ presenter has been seen vaping whilst out and about, one such time being at Notting Hill whilst eating lunch! After extensive research, it has been proven that vaping is 95% healthier than smoking. It’s a no brainer really! Smoking has been killing people for hundreds of years, leading people to develop lung, throat, mouth and other horrific cancers. So for those who are not willing to go teetotal, vaping is your ticket to a healthier way to continue this life long habit without having to go cold turkey! Also there is no second hand smoke associated with vaping which is always good to know when you vape around others. So far there has been recorded 20,000 successful people quit each year by making the change over to vaping and there is a total of around 3 million vapers within the UK alone. The last fact I want to inform you about is that the nhs are now looking to encourage smokers to switch over to vaping and if you were to be a part of an nhs stop smoking group, they would be more than happy for you to enter the group as a vaper. As an ex- smoker myself, we have all heard of smokers breath and people commenting on how we smell of cigarette smoke after popping outside for a quick one. I can now honestly say that I am now in agreement with these comments. Smoking does not smell nice and plays havoc with your breath as the day goes on. We all know that cigarettes do not taste or smell pleasant so wouldn’t you rather taste sweet strawberries or smell of fruits and citrus? When you change over to vaping, you will notice that your sense of smell and taste will return and you will realise just how foul smoking is and how delicious vaping can be. When you begin your vaping journey, you will notice that there are hundreds of other vapers out there which are a part of ‘vaping groups’ on Facebook, forums and Instagram. Make the time to become an active member of these groups. These groups will open your eyes to the hundreds of e-liquid and device options that are available on the market. They can also offer you much needed advice and maybe you will make some friends? Vaping has become a community within itself and its time to be become a part of this culture. Yes the initial pay out to buy yourself a device may end up being slightly more than a 20 deck or a 50g pouch, but this device could last you years if looked after properly. Also you have to consider the price of the e-liquid. For example a rockstar vape premium bottle would cost you £14.99 incl delivery and this bottle is likely to last you upto 2 weeks dependant on how heavily you vape. So putting the figures together - let's say you go through a 20 deck every couple of days, that would be approx £45 a week. Whereas a bottle of e-liquid purchased from rockstar vape would be £15 for two weeks… That’s a massive saving! Now that we are on the subject of Rockstar Vape and have been chatting about how foul tobacco actually tastes, I want to introduce you to the Rockstar Vape Premium Range. There is a total of 26 flavours covering everything from creamy ice-creams to british berries, exotic fruits, smooth menthols and your favourite vape classics. All of which smell amazing to passers by whilst your out in public vaping. Rockstar Vape have made it their mission to ensure they have a flavour for every set of taste buds! Be sure to give them a try. I myself have quit smoking by vaping their strawberry jam from the fruitilicous range. Yum! Giving yourself a ‘switch day’ is a good start. Once you have decided on this date, mark it in your calendar and stick to it. Let your family and your smoking buddies know that you are making the switch so that they can be ready to support you for when the time comes. If you feel that those around you are not going to be very supportive then you could try educating them on what you now know about vaping and maybe this will help curve their views. At the end of the day, everybody knows the risk of smoking so I am sure that with a little bit of knowledge all friends and family will be supportive of your change if they truly care for your health. The most important thing to know about vaping is that even though it is not smoking, it is still a way to intake nicotine to satisfy your cravings. Once you have got your head around this then your first day will go a lot smoother. You will realise straight away that vaping is very different to smoking and you may even cough slightly when you first start. Persevere through this, I am sure you had the odd cough when you first started smoking, You pushed through it back then so you can push through it now. Keep in mind the major health benefits. No more chesty smokers cough, bad breath and also the big one, Cancer. 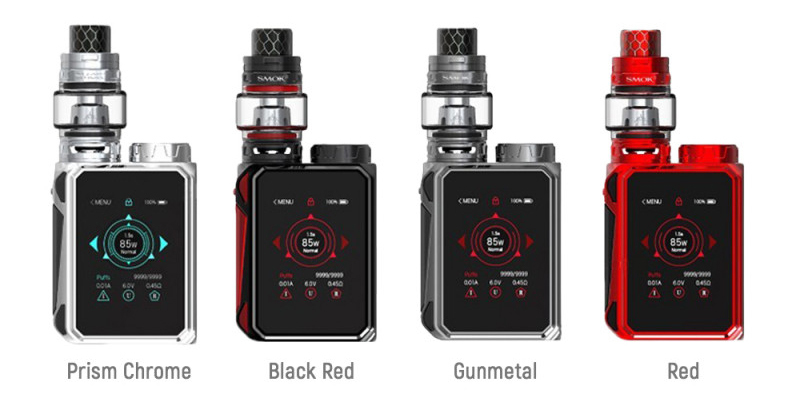 There are many different devices out there to cater to every vaper. From the competition mods to the mini pods. Today I am going to chat about what’s best to use if you are a first timer. You could purchase a pen-style device, these little gadgets have been around for years and are a reliable device to use when you first quit. You will soon find though that you will want to move on to a device that chucks out more cloud and is a smoother vape such as a box mod or pod. The pen style device does not have air flow so if you want to your device to replicate exactly how you would smoke a cigarette then this is the device for you as they produce a tighter vape in-take. These devices work well with 60vg/40pg and 70vg/30pg e-liquid which is convenient as Rockstar Vape’s Premium Range is a 70/30 ratio mix. If you are wanting e-liquid with a higher nicotine content then you could try buying a short fill and putting in a salt nic shot as these are high in nicotine without the harsh throat hit. Dinner Lady do a tasty range of e-liquid with nic salts. The pod device is relatively new on the scene but seems to be hitting the UK, USA and Europe with force! These dinky little devices fit great in your hand and can be used to replicate how you would smoke a cigarette or you can do the traditional direct mouth to lung action and create some lovely little clouds! The battery life usually lasts a full day if you are an average smoker so it’s always good to keep your charger to hand just in case. Again These work well with 70vg/30pg e-liquid Like those sold by Rockstar Vape or maybe you could try Vampire Vapes as they do their liquids in handy 10ml bottles. I personally started with a mod and tank device. I added myself to a few facebook Vape pages and asked people their recommendations and went ahead with a 60w mod device. The great thing about these devices is that you can turn the wattage down whilst you get used to the direct mouth to lung action. You will soon be whacking up the wattage though! Mod and tank device are also great for flavour and have air flow options so that you can make your vaping experience as smooth as you want it to be. These devices work with both 80vg/20pg and 70vg/30pg e-liquid. There are many delicious e-liquids out there which are in both variations. If you are unsure then just ask the stockist. 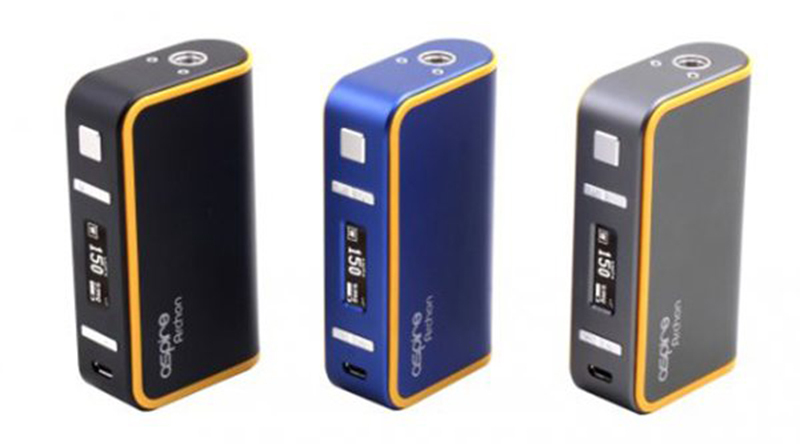 And for the Mod I would go for any of the Aspire range. A light smoker should be fine with 3mg, an average smoker 6mg and a heavy smoker 6mg-12mg. My recommendation if you are a light smoker is to go for 3mg in the pen style or pod device. These are a bit lighter on the lungs and a good place to start. Dinner Lady do a variety of 50/50 and rockstar vape do a 70/30 ratio e-liquid which will work well in both of these devices. My recommendation if you are an average smoker is to go for 3mg or 6mg on the pod or mod device and see how you go. You may notice that you will need to vape more than you smoke but sometimes this is purely because you are genuinely loving the flavour you are vaping! If you purchase a 60ml short fill of e-liquid then this means you will need 1 x 18mg nic shot to make it 3mg.Rockstar vape and Six Licks do some lovely flavours in a 70/30 ratio e-liquid that will work well with these devices. If you really don’t get on with the amount of vape produced then you could try the pen-style device with 3mg-6mg strength. My recommendation if you are a heavy smoker is to go for a mod device and use e-liquid with salt nics as these contain higher nicotine without giving the harsh throat hit. Dinner Lady do a great range of flavours with the nic salts. Again if you aren't happy with the amount of vape produced then the nic salt e-liquids will work well in either a pen-style or pod device. If you are a little put off by the prices of nic salt e-liquids then you could try looking at a basic 12mg e-liquid. These come in 10ml bottles and there are hundreds of brands and flavours out there. Also these are easy to source as your local vape shop will always have a good variety in stock. There is no laws in place regarding vaping in the UK, however you do have to be considerate to others due to vaping having the ability to cloud up a room if there’s a few of you using big sub ohm devices. You wouldn’t smoke a cigarette in your local convenience store or your local restaurant so please try to follow the same rules when vaping. Some establishments may have already put signs up telling you that vaping isn't allowed on their premises so try and take note of these before pulling out your device to have a quick puff! If you are unsure then just ask. I vape openly at numerous local pubs but I also know a few which do not allow it.